The next Little Kids' Day In at Scienceworks will explore healthy living and nutrition in a movers & shakers event! The flagship Little Kids’ Day In event of 2017 presented in partnership with Playgroup Victoria and Kinderling Kids Radio will take place on Monday 5th June 2017. This year, Little Kids’ Day In – Movers & Shakers event will shine a spotlight on health, wellbeing and the link between nutrition, physical activity and learning. 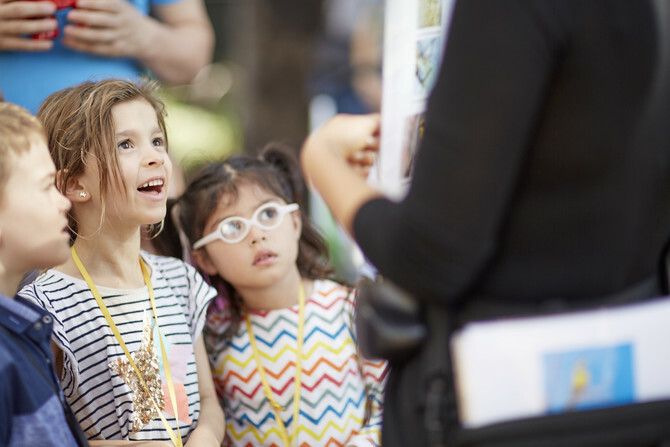 On the day, Scienceworks will be playing host to the exclusive launch of Playgroup Together Time, a partnership between Kinderling Kids Radio and Playgroup Victoria that will broadcast live from the Little Kids’ Day In – Movers & Shakers event to families across Australia. Playgroup Victoria will be presenting performances, storytelling sessions and a range of fun filled activities that include hula hooping, stepping stones, tunnels, go fish and more! A dedicated baby-play area will be set aside for little ones to crawl around and play with soft toys in a safe environment. Little Kids’ Day In – Movers & Shakers on Monday 5 June will be a fun day especially for kids aged 5 and under, their parents and carers. Visitors are invited to join us in supporting sound nutrition, regular physical activity and health-promotion with activities and pop-ups to celebrate health! Kids will be able to find out about vegetable super-heroes in storytelling sessions and channel their energy into active play stations indoors and out. To celebrate 'Little Kids’ Day In – Movers & Shakers' at Scienceworks this coming June 5th, we are giving away thanks to Scienceworks 5 x adult double passes to this event. Kids under 5 are free. To enter, make sure you are subscribed to our newsletter and pop us an email at busycitykids[@]gmail.com (remove ) with subject line: 'Little Kids’ Day In – Movers & Shakers' - good luck! Entries open Monday 15th May 2017 close Thursday 25th May 2017 at 5PM AEST. For more information regarding the Little Kids's Day In program or the Movers & Shakers, you can head to their website via this link and also pickup tickets from there too.